All applications that have been either approved, or are in process on 7/13/2016 will be processed under the existing rules; so, we'll be pushing hard as we get close to that date to ensure everything gets to the NFA Branch before the change happens. Once the new rule goes into effect, CLEO certification will no longer be required for anybody - including individual applications. Most people prefer using a trust or corporation to register; but, for anybody registering as an individual it may make sense to wait to submit paperwork until AFTER 7/13/2016. When registering using a trust or corporation, a new Form 5320.23 will be required for EVERY RESPONSIBLE PERSON. This form will be sent to the NFA Branch as well as to your CLEO with each silencer purchase. Note that this form will also require a recent passport photo - taken within the preceding 1 year. As a side note, I suspect we'll still be talking about what a responsible person is 5 years from now... We're already working to ensure this new paperwork will be as simple as possible for our customers. This is definitely going to be the biggest problem for the industry & customers. As with individual applications, trusts & corporations will now require 2 physical fingerprint cards for every responsible person. 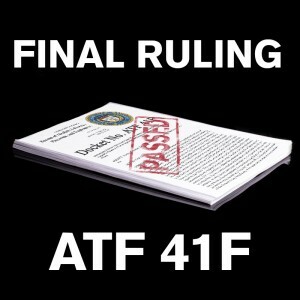 In the initial ATF 41P proposal, there was a requirement to notify the NFA Branch with a Form 5320.23 every time your responsible persons changed. Fortunately, the requirement was removed - and there is specifically no requirement to notify the NFA Branch if you add or remove responsible persons after getting an approval. We're still working to both understand the implications of this new rule change, as well as to lessen the impacts if possible. The next step is a sit down meeting with the ATF and the American Suppressor Association - so we'll see what new information comes from that. We truly appreciate everybody who has stepped up and submitted comments on behalf of our industry, as well as those who have supported the American Suppressor Association in their fight to lessen the effects of this executive action. The NFA community is growing, and I suspect politicians won't be able to ignore us much longer if we continue to band together. Thank you for presenting up-to-date information in an easy access format. Any updates on the whole "2-Year Exemption After An Approval" thing? I hope to get my post 41f stamp back soon and am getting close to getting another silencer. My check was cashed December 26, 2016 and it was a paper form 4 with a trust. You have to submit finger prints and photos each time. When you purchase from Silencer Shop we handle all of this for you. There were a lot of rumors about a 2-year exemption from this or that but they were just rumors. Just looking for an update. Haven't done a trust yet, but I read 2 conflicting responses on here. One says "the person purchasing the NFA item has to submit photo and prints, the other says everyone on the trust has to submit photo and prints anytime a new item is purchased." So which is it, the person buying or everyone on the trust? Every time that you submit a new form fingerprints and photos are required for every responsible person on the trust. If you go through Silencer Shop then we keep it on file after the first time so you only have to do it once. We just print the fingerprints and photo out for each submission. Do you have to submit fingerprints cards for every NFA item you buy? Yes you do. However if you buy from use we keep your prints on file so you only have to give us one set of prints and you can buy as many as you want. Thanks for all you do and let's not forget those responsible for all of this. That's right Jeff "41f" Folloder and his gang of cronies at the NFATCA. Boycott them and every website that related to them! Can I have the fingerprints & passport photos of my trust members in digital form to submit to the ATF? We will have kiosks set up across the country to capture the fingerprints. The ATF canâ€™t accept the fingerprints in digital form but we print them off and send them in when you order from us. May have been covered already but what if I don't have a passport? For new form 5320.23 it says you need a passport photo taken within the preceding year. You can get passport photos made at several places like Walgreens. You donâ€™t need to have a passport. last time i looked these unconstitutional rules coming from d.c.s alphabet orgs were not enforceable in kansas . just saying. I don't currently own a suppressor but I would like to in the future. I was going to register them using a trust. Which I don't currently have either. Unfortunately I probably won't be purchasing a suppressor before the deadline. The main reason I was going to use a trust was for inheritance, (the ATF won't have to confiscate any NFA items I own immediately) not because I have individuals besides myself wanting to use the NFA item without my presence. Would I be better off just registering the suppressor as an individual versus using a trust? Especially considering that everyone listed as a trustee must submit fingerprints and photos everytime a new item is acquired using a trust after July 13th. Anyone listed as a trustee in the trust can be in possession of the suppressor. A revocable trust can be changed at any time without notifying the ATF. You can have beneficiaries that can inherit the items. We still recommend a trust and even after July 13th it will offer benefits that filing as an individual does not. The rule change will not effect Silencer Shop customers as much as others. Stay tuned for more details. Looking for an update on this to see whether silencershop was able to clarify anything with the ATF. My main question is this: If I purchase a suppressor before 13 July 2016 using a trust, then buy another suppressor after 13 July 2016 and add it to said trust, will the new rules apply and I would have to fingerprint/photograph every person on my trust? Also, I am looking for clarification as to who would be considered a "responsible person" in my trust, and whether "beneficiaries" would be considered such and do they also have the privileges of the trust such as transporting the suppressor etc. Thanks! Correct if the trust is written that way. Most trusts that we have seen donâ€™t give beneficiaries that much power. Jeremy, most legal opinion (including mine) appears to be leaning towards the conclusion that beneficiaries who have the ability to possess trust firearms (even if they are not trustees or grantors) will be considered RPs by ATF. Any silencer purchased after July 13th 2016 will require finger prints and photos for all responsible persons on the trust to be sent to the ATF. A responsible person is the grantor or trustees if you have a trust or the officers of the corporation. Beneficiaries are not responsible persons. I met with an NFA Examiner from the ATF this past week at the SHOT Show and she was very adamant that new pictures and fingerprints would have to be submitted with each new form and no exemption would be allowed. Have you seen or heard anything like that or can you confirm that she was wrong? After July 13th they are requiring fingerprints an photos however, you have two years after the last approval where you donâ€™t have to submit the trust. You will still have to submit the fingerprints and photos each time. 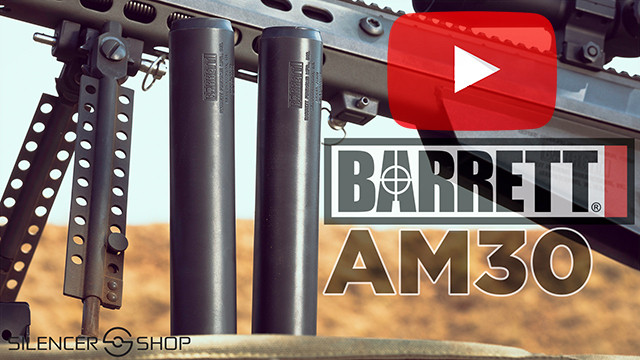 I don't plan to purchase a suppressor until after July of 2016. Can I establish my NFA trust before then by listing my non-NFA weapons into the trust? Thank you. Yes you can create a trust now and use it after July 13th. Is this the bill that was proposed that would also refund the "Tax" for anyone purchasing while the bill was being considered, if so what was the result of that. Thanks. No this is not the bill. What you are referring to is the â€œHearing Protection Actâ€ and it probably will not happen until we have a new administration. Hello, Not sure if I understand totally and my trust lawyer didn't really make it any clearer but if I buy before July 13th and the paperwork is in the system then it will go through as it does now? Or will the new requirements for fingerprints and the 5320.23 be required? Sorry but I am just unsure about this requirement. After July 13th you will have to submit fingerprints and photos for all trustees. If you purchase now then you will not have to be fingerprinted or photographed. What is the point of the NICS background check? Every Suppressor or lower ar receiver ("Firearm") Ive had to pay the $10.00 fee for this background check. Will this still apply? Weather I have a trust or not, I've had to get a "Background" check! Besides mitigating the CLEO sign off, this does not favor anything. 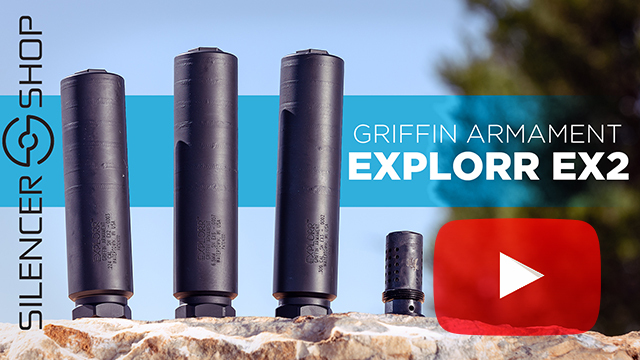 What if the "Hearing Protection Act" (HPA) goes into effect? How will this affect the 41P, since a suppressor isn't a firearm. I can beat you with it; however, I cannot make it go bang. I've tried, and it just wont work. It's a tool! If the HPA goes into effect, will the price of Suppressors be going up, remaining the same, or going to be cheaper? Communism: a theory or system of social organization in which all property is owned by the community and each person contributes and receives according to their ability and needs. In one sentence you state that CLEO certification will not be required for ANY transfer but then you state that a 5320.23 will be sent to your local CLEO. Is it just so they know that we have NFA items or is it for some back door certification process that they haven't clarified yet? The CLEO needs to be notified but not from the individual. The FFL will submit the notification to the CLEO. So - if my application (a trust) was submitted in November of 2013, and approved in May 2014, no fingerprints or photographs are required for any purchases made prior to May 2016? The reason I used a trust for many years was to avoid the intrusive, invasive, and ineffective fingerprint, photo, and other BS. I guess I will have to make any final purchases before the deadline. I am concerned about the implications for my existing stamps though as it seems unclear if we will have to go through the new approval process or it these are grandfathered. Very confusing and frustrating. Your previous silencers will not be effected. Just silencers purchased after July 13th. I disagree with the BATFE or any other government entities making "rules" with the effect of law, they where not elected they are not congress they are not law making part of government, no people represented, no votes cast, no Presidential signature or veto option yet this "rule" has the effect of law? Unfortunately, regulations, or administrative rules (often called â€œad regsâ€ for short) are â€œprimary sources of lawâ€ just like statutes. They exist on both the federal and state levels, but on the federal level Congress delegates rulemaking and/or adjudication authority in a statute to executive agencies to implement the statute. Regulations have the force of law when an administrative agency properly promulgates them. So in a very real way, Congress is saying â€œgo ahead and make this law for us because youâ€™re experts in this area.â€ Even though many ATF agents are *clearly* not experts, if youâ€™ve ever had to deal with themâ€¦. So I just bought two silencers in Dec and sent in the trust and am awaiting approval. Right now I have not added anyone else to my trust, other than my wife being a successor. If I add her now to an additional party, are she and I both grandfathered into the current rules? Or will we have to go through the photos/fingerprints, etc at some point this year? Nothing changes on your current forms. This will only apply to purchases after July. So does this effect current trusts? Should I buy now rather than later? After July 13th you will have to submit fingerprints and photos for all trustees no matter when the trust was created. If you purchase now then you will not have to submit fingerprints and pics. keep in mind all criminals are armed Your govt is armed You are asking permission to do what the 2nd amdt guarantees Send the traitors to their friends in Gitmo and let them sort it out Done! Next! Michael is right. Just what is â€œresponsible personâ€? Are you a responsible person if you failed to vote, miss a Dr. appt. , forgot to get your car tags updated before you get pulled over, did not get the tail light fixed before getting out on the highway, upset your neighbor because he saw you load your guns into your car for a days shooting? Look at whatâ€™s happening in Oregon now, if all those people join some sort of militia or have a different view of what a local leo has are they â€œresponsible personsâ€?? The grey area is just way to wide to decide what a â€œresponsible personâ€ is and this bodes not to good for the shooting public. This is just more fed govt getting further out of their constitutional limitations. Thanks for keeping us informed guys. It appears that the changes are still murky at this point, and I, for one, am grateful that you are keeping us in the loop. Semper Fi. Thanks for the support. We will keep you posted. So how will this affect us with current items in a NFA trust? Is it retroactive so previous trusts must submit fingerprints and photo for all responsible persons (trustees)? I have two purchases pending with your shop now that were filed before so will they be following the old rules bc they were submitted prior to change? No this would only apply to purchases made after July 13th. You would not have to retroactively go back and get fingerprints and photos. As long as they are submitted before July 13th then you are good. Great article! Now you just need to get the Rugged Surge back in stock! My trust is completed and waiting on the Surge to get back In stock. They are on the way. Just waiting for the ATF to approve serial numbers. You can back order it though. So should I go ahead and get my Class 3 items that are not currently in my trust transferred into my trust before July 13? Do I understand correctly that transfering from my name or corporations name into my trust will necessitate a new Form 4 and a $200 tax payment? Thanks to you guys for keeping us informed on this issue. Yes it will be $200 per transfer. As long as the forms are submitted before July 13th then you are good. Looks to me like it wouldn't be difficult at all to create a new trust (copy your existing trust and change the name) for every new NFA item and then you can add as many trustees after approval as you want. The person buying would have to do fingerprints/photographs, but wouldn't require every trustee/responsible person to do so. You are 100% correct. This is all that would be need to circumvent the new changes. My form 4 fpr my trust is dated 12/2/2014. What do I need to do for the current NFA items in my trust of anything? You do not need to do anything. This only applies to orders after July 13th. We will keep you updated with changes. So with the 2yr exemption if your trust doesn't change, this seems to imply a rolling/never-ending exemption so long as you buy something that qualifies every other year before your approval exemption ends. That is what we are thinking. It would be good from 2 years and then start over. If common sense counts with the ATF (LOL) the 2 year exemption appears to be an assumption that not much will have changed since your last 5320.20 and pictures were submitted and reviewed. Since the ATF would err on the side of caution, I doubt this will be a rolling exemption. More likely that your submission will be good for 2 years, and then need to be submitted for another review. That is one thing that we are waiting on clarification from the ATF on. It could be that it is 2 years from the first form submitted. We will keep you updated once we know more. The two year language is the most interesting part, to me any way. It seems to indicate that if you buy an NFA item every two years you only have to go through the full process once. Does this seem correct? Also does this mean that copies of fingerprints will be kept on hand by the BATFE for a period of two years or more? That seems like it could be problematic. Well that is one thing that we are going to ask ATF. It could be that it is 2 years from after the first form was submitted. Once we meet with them then we will know more and update everyone. So if I already have a trust and buy a silencer tomorrow will I be required to do the fingerprints and other stuff or will I be grandfathered into the "old way" and will I continue to do it the old way after the date it begins or will I have to start doing fingerprints and such? After July 13th you will have to submit fingerprints and photos for all trustees no matter when the trust was created. Do you guys foresee a possible repeal or alteration to this new ruling? The requirement to be fingerprinted (even if a trust or LLC is used) is ridiculous and is an invasion of privacy. At what point will they be requiring DNA samples? Hard to say at the moment but several groups are working on it. We will keep you updated. So, can the "responsible person" be a minor? I'd like my minor children to be included in the family trust so once they turn 18 they can legally possess my/our NFA items. It has always been 18 that an individual can be a trustee. They just canâ€™t use the trust to purchase from an FFL till they are 21. You may want to research a little deeper into the age of the individual. I believe it will remain 21 years of age. No they canâ€™t for me minors. Minors can only be beneficiaries. Once they turn 18 then they can be trustees. Thank you for keeping all of us updated and making the verbage simple for all of us to understand. I have heard you on a few podcasts and enjoy listening and learning. Keep up the good work and supporting our rights. Thanks for the support, we will continue to keep you updated as things progress. The real question is what the ATF will determine the definition of "responsible person" to be. Trusts are laid out in all sorts of ways. For example, there a "successor trustees" who legally only assume control of the trust if the full trustee(s) die or are incapacitated. It's unclear whether the ATF will consider the successor trustee as a "responsible person". A few lawyers I've heard from say "no, they shouldn't", but that doesn't really mean much unless the ATF clarifies. I have always found it to be easiest and best to get your fingerprint cards and your fingerprints done at your local Sheriffâ€™s office. Once you submit your prints on their format, there is usually no lingering doubts as to WHO you are or if you have any hidden agendas. You are correct. However its not how it is written but how the ATF will intrepid the rule. No one will really know till there is clarification. The way the rule is written anyone can do the fingerprints. Two different agencies you are taking about. Iâ€™m also curious if they are going to accept home prints and passport photos or if they are going to require it be done by a legal entity. So many questions so very little information. We are asking about responsible parties. I have a strong feeling that it will be trustees. Also 41F states that you can have fingerprints done by anyone with the equipment. so no trip to the local PD for fingerprints? I assume an ink-pad is â€œequipmentâ€? I am surprised at this since it would be easy for the wrong fingers to make the printsâ€¦..
Iâ€™m not trying to be â€œthat guyâ€, but the last paragraph of page 4 define â€œresponsible partiesâ€. â€œWith respect to trusts, partnerships, associations, companies, or corporations, this final rule defines the term â€œresponsible personâ€ as an individual in the organization that has the power and authority to direct the management and policies of the entity insofar as they pertain to firearms. â€ So, you must read the verbage in your specific trust and decide how it defines who has â€ the power and authority to direct the management and policies of the entity insofar as they pertain to firearmsâ€. Not every trust is written the same and, therefore, â€œresponsible partyâ€ will be different on a case by case basis. Iâ€™m not a lawyer, and will do my best to follow everyone over the cliff, but this is how I feel it will play out. Every reference, in the Final Rule, to having fingerprints taken states, â€œThe fingerprints must be clear for accurate classification and should be taken by someone properly equipped to take them. â€ On myfbireport.com, a govâ€™t apprâ€™d & FBI authorized website, it states, â€œFingerprints must be taken by a trained technician.â€. When I click the link to find a â€œtrained technicianâ€ in my state, the only places that are listed are Police Deptâ€™s. I know other authorized venues exist, but Iâ€™m not finding any irrefutable evidence which states I can do my own prints. Correct, that really is the question. Until there is something that clarifies then it is anyoneâ€™s guess. We assume that it will be all trustees but that isnâ€™t 100% for sure. Can you just apply to get your name in the system or trust or do you have to purchase an NFA item? All forms are linked to a serial number. So you have to purchase an item to have something in the system. Thanks for checking. If you attachment changes the trust then yes it does. So if your attachment adds or removes a trustee then that would be a change to the trust itself. â€œif your TRUST changesâ€¦â€ This doesnâ€™t have anything to do with any ATTACHMENTS TO your trust. You can add on as many items as you like, that does NOT change THE TRUST. Correct that is why we are having the meeting to answer question like this. There are so many things that are up in the air right now and some that just donâ€™t have answers. I suspect that there wonâ€™t be a fast track system but you never know. So how often if at all does something published into the registry get repealed? That is a good question that we donâ€™t have the answer to. However if the public outcry is loud enough then there is a good chance it could change. So under the 2 year exception after approval (i know you don't know how they will handle it yet, but am just hoping for a tine clarification), if I were to get an approved tax stamp on June 28th, they wouldn't require any of the extra stuff until 2 years after that date? Looks like I will be SBR'ing something the beginning of May. Yes it applies to individuals as well. Once they have your fingerprints and photos then you donâ€™t have to do it again for 2 years. We will keep you posted if anything changes. Thanks we will keep you updated as things progress. We currently sell to individuals and always have. 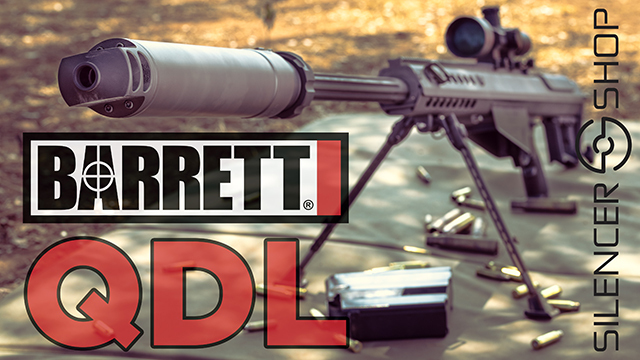 You just need to select an FFL to have it sent to and we will do the rest. You will get emails that prompt you for more information. Thanks for the update. As always with fed regs, understanding the application is not easy, and it takes time, as you know so well. I agree with Charles Coker, thank you for keeping us informed. Will you start selling directly to individuals aft 07/13/2016? You have a great product and at a good price. Jeremy: Iâ€™m not clear on the 2-yrs look-back for duplicate FP cards and photos â€¦ â€¦ Is this only applicable to trusts/LLCs, or will BATFE apply this rule to individual F1s/F4s? If, as an individual, I submit FP cards and photos, say, on 7/25/16, with a F4 app for a 7.62 suppressor, notice my CLEO, and then get approved by BATFE and receive the tx stamp, and then in December 2016, decide to buy a rimfire suppressor and submit another F4, why should I need to re-submit 2 more FP cards and photos? BATFE should be able to track the prior F4 submission. Talk about redundancy in paperwork on both ends. I canâ€™t think of a reason why BATFE should treat individual applications differently from entity apps for FP cards and photos. That is hard to say. 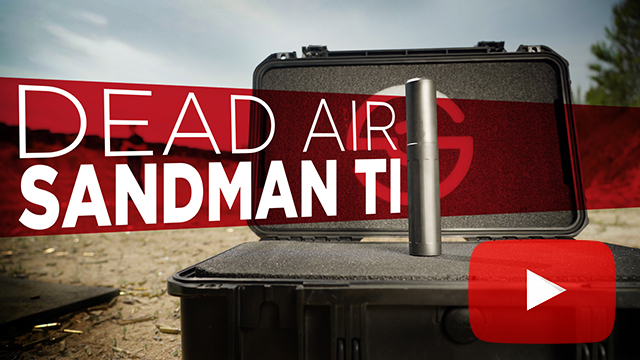 That is one of the things that we are asking the ATF for clarification on. Hopefully that is the case. We will keep you updated if anything changes. No it doesnâ€™t matter when the silencer is created. What matters is when you file the form 4. So as long as the form for is pending before July 13th then you are good. Anything after July 13th will require fingerprints and photos. Wonder if the two year exemption would be a rolling two year exemption. In other words if I register something every two years would I never be expected to resubmit prints and photos? The way it sounds it would be. It is two years after your approval that the clock starts. Of course this is after July 13th. That is a good question that we are seeking clarification from the ATF on.